Back in December of 2015, construction was up to the third floor of the 54-story ultra-luxury residential building under development at 520 Park Avenue, located on East 60th Street in Lenox Hill. Now, construction has commenced on the tower portion of the building, and YIMBY can reveal new renderings of the limestone-clad structure. The 251,892-square-foot, 737-foot-tall tower will host 33 condominiums, averaging an incredible 5,394 square feet apiece. Units will span at least the entire floor, with the duplex and triplex penthouses consisting of the largest configurations. Amenities will include a salon, a pool, a fitness center with exercise rooms, a treatment room, a sauna and steam rooms, and a children’s playroom. There will also be guest suites, a wine cellar, private storage space, a garden, and a 21-bike storage room. 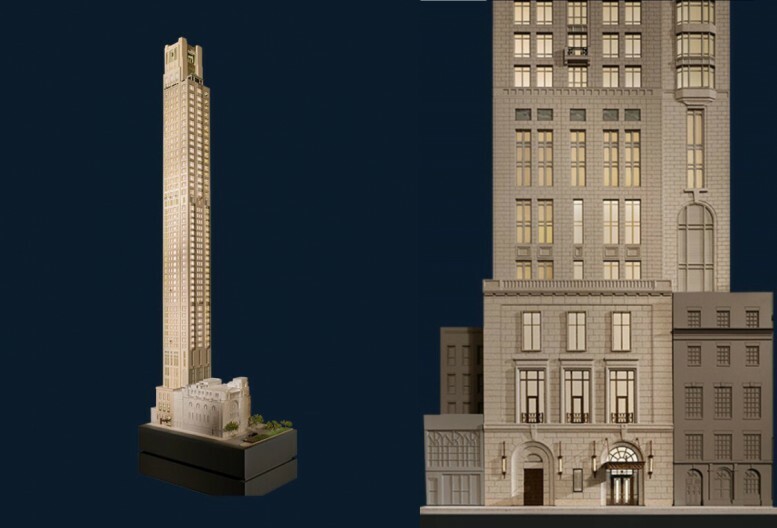 Zeckendorf Development is the developer and Robert A.M. Stern Architects is behind the design, while SLCE Architects is serving as the architect of record. Completion is expected in 2017. 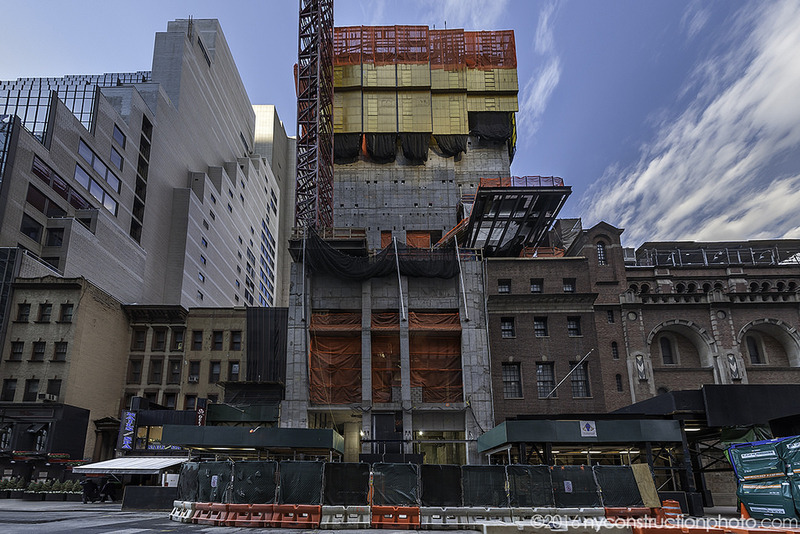 1 Comment on "New Renderings of 54-Story, 33-Unit Residential Tower Under Construction at 520 Park Avenue, Upper East Side"
A daily news and pictures of under construction, dainty of this tower and many beauty course.